Carpets are a common type of flooring these days. Apart from adding to the beauty carpets also make the room more cozy and comfortable. If proper care is not taken then your carpet can show signs of wear and tear very early. A worn out carpet looks old, has no shine and rather than adding to the aesthetics it spoils the look. Although, vacuuming can remove the dirt and other particles from the surface but it does not clean the carpet completely. This is where a professional service provider comes to rescue. 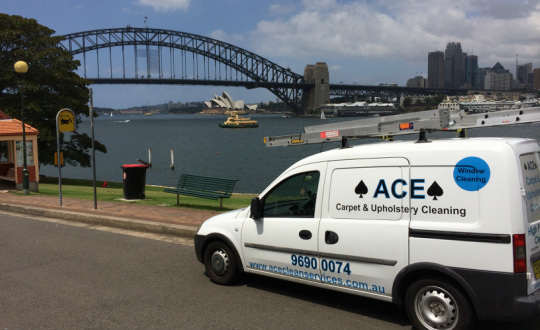 If you are a resident of Kensington then you can rely on ACE for all your needs of Carpet Cleaning in Kensington. We are also experts at repairing and restoring carpets. So, if your carpet looks damaged, has stains, burns or looks faded then give our experts a chance to fix it and we assure you that you will not be disappointed. Our first and foremost priority is our customers’ satisfaction. When you decide to hire us and we reach you place, our only focus is on delivering the best quality services that will give you 100% satisfaction. When you call us for cleaning your carpet or for Carpet Repairs in Kensington, we will serve you with our expert knowledge and skills and give you the desired results. We understand the value of your time and so strive to always be on time. We are committed towards providing best in class services with a quick turnaround time. Our personnel have experience of many years in carpet repair and cleaning and so they can quickly detect the problem and suggest you the most optimal solution. They specialize in patching for fixing damages like fading, burn holes, stains and spots. If you are experiencing odor related problem then do not worry as ACE can help you in permanently fixing the problem. We will detect the source and apply the required chemicals to remove the obnoxious smell. Carpets require some professional care and maintenance. Only proper care can ensure that the carpets look as good as new and last long. If they are not cleaned and repaired when initial damages show up they will need a full-replacement very soon. Anyone who has purchased a carpet knows that it is quite an investment and a full-replacement means investing a huge amount once again. However, good quality Carpet Repairs in Kensington can fix the damages and prolong life of the carpet. ACE can take care of all you repair needs and cleaning needs and give your carpet a new and refreshed look. We use good quality chemicals and other cleaning solutions to ensure that no damage is caused to the carpet fibers. For a free quote on Carpet Cleaning in Kensington or repair give us a call on 0415 096 801. For any other queries or information on our services you can call us or drop an email on scottpope01@gmail.com.